Do We Love Our Smartphones Too Much? Using a mobile phone while traveling internationally can be like grocery shopping at 7-11. Sure, you can do it--but you'll end up paying a lot for a less-than-optimal experience. Here are some money-saving tips for staying in touch when traveling overseas. The least expensive option for using a mobile phone abroad? Buy a local SIM card in the country you're visiting and pop it into an unlocked GSM phone. If I sound like I've just spoken Swahili, keep reading. A SIM card is a tiny chip that stores essential data, such as the phone number, network authorization information, and contact lists, for use in GSM phones. (SIM is an acronym for the particularly Orwellian/robotic-sounding term Subscriber Identity Module.) A SIM card is your GSM phone's brain. You can remove the card from one phone and pop it into another--an instant brain transplant. Buying a prepaid SIM card for a country you're visiting prevents you from having to pay international roaming fees to your U.S. wireless carrier, which can be substantial (more on that in a minute). Also, you'll get a phone number associated with your SIM card that's local to the country in which you purchase the card. This way, people in that country can call your mobile phone without international tolls. You don't have to wait until you arrive overseas to buy a SIM card for another country, however. Example: In advance of an upcoming UK trip, I purchased the Passport US SIM Card ($29; includes $10 of airtime) from Telestial. With Telestial's Passport US SIM Card, I get both a U.S. and UK phone number. If someone dials the U.S. number and I answer in the UK, the caller pays only U.S. long distance charges (or none, depending upon their phone plan). I'm charged $0.19 per minute to receive those calls--a lot less than the $0.99 or $1.29 per minute I'd pay AT&T, my wireless carrier, for international roaming with my Apple iPhone. Also, incoming calls made to my UK number are free for me regardless of where the call originates; they're free or low-cost to callers in the UK. Calls I make from within the UK to landlines, regardless of the country they're in, are $0.49 per minute. For calls to mobile phones, I pay $0.84 per minute. I also pay a $0.35 connection fee for each call I make. I chose this SIM card because I expect to receive more calls than I'll make on my UK mobile number. I also plan to rely on Skype and Vonage to make calls when I'm in my hotel room. More on that in a minute. To use a local SIM card, you need an unlocked GSM phone. Most mobile phones in the U.S. operate on one of two cellular network standards: GSM or CDMA. In the U.S., AT&T and T-Mobile use GSM (Global System for Mobile communications). GSM is the global standard for cellular networks. CDMA (Code Division Multiple Access) is particularly strong in the U.S., especially in rural areas. The Sprint and Verizon Wireless networks use CDMA. Most CDMA phones aren't meant for global travel--though there are exceptions. 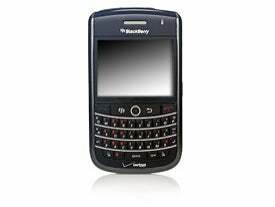 For example, RIM's BlackBerry Tour operates on Sprint's CDMA network in the U.S. and on GSM networks internationally. But not all GSM phones are equal: Your best choice is an unlocked quad-band GSM phone. Most GSM phones outside the U.S. (except in Japan and a few other countries) operate on the 900 MHz or 1800 MHz GSM bands. American and Canadian GSM networks work at the 850 MHz or 1900 MHz bands. With an unlocked, quad-band GSM phone, you've got all four bands covered. An unlocked phone is not tied to a specific carrier, such as AT&T. But many mobile phones sold by GSM carriers in the U.S. are locked. Exhibit A: Apple's iPhone, which is attached to AT&T's network in the U.S. like a barnacle on a boat's underside. To use your iPhone outside the U.S., one option is to pay AT&T's international roaming rates. If you sign up for the AT&T World Traveler plan ($6 per month, but you can stop and start it as needed), you pay $0.99 per minute for calls sent and received while traveling internationally. Without the World Traveler plan, the charge is $1.29 per minute. The Spanish phrase that comes to my mind here is no me gusta. Your only other option is to unlock your iPhone so you can use a local SIM card. Lots of people do it. Lots of people go bungee jumping, too. Read "How to Unlock your iPhone 3G" if you're feeling adventurous. The instructions are a bit outdated, but you'll get the idea. Ultimately, the easiest--but most expensive--solution is to add international roaming to your existing GSM-compatible phone. The downside, aside from the cost: People in countries you're visiting must call a U.S. number to reach you, which can be costly for them (and thus a deterrent). A slightly more cumbersome but less expensive solution is to buy a local SIM card and use it in an unlocked GSM phone. If you take your laptop, use Skype for free video chats as much as possible, while in your hotel room (or if you're brave, an Internet cafe). The New York Times' Frugal Traveler Matt Gross wrote about his money-saving plan that involves Skype, call forwarding, and SIM cards and a GSM phone. It's a bit complicated, but it could save you money. Another option: Vonage subscribers might want to download and install Vonage Companion, which turns your laptop or netbook into a phone. You can make and receive calls to your U.S. Vonage number without additional expense (depending upon the Vonage plan you're on). Palm and Apple: Checkmate. Palm has brought iTunes syncing back to the Pre smartphone, reversing a move Apple made recently to block the Pre's iTunes syncing via an iTunes software upgrade. No word yet on whether the two companies will engage in a jello wrestling match. Samsung's Eco-Friendly Cell Phone. Available in "ocean blue" and "earth green," Samsung's compact smartphone is ecoconscious and sophisticated. Our reviewer liked the Samsung Reclaim smartphone for its energy efficiency and clean, simple interface. Your Laptop and International Travel. When you travel abroad, keeping your laptop juiced up isn't your only concern. Fellow contributing editor Lincoln Spector details the risks of taking your notebook across international borders in a recent Answer Line.